The view that a brand should tell a story rather than just have a ‘positioning’ is not new in marketing circles. However, for CEOs who often already see marketing as the ‘soft’ side of their businesses, investment in story-telling may seem too esoteric a notion, and one with questionable commercial benefit. But the outcomes of a novel social experiment have shown the potential ROI that a well told story can provide. “We are in the twilight of a society based on data. As information and intelligence become the domain of computers, society will place new value on the one human ability that can’t be automated: emotion”. “Companies will thrive on the basis of their stories and myths – on their ability to create products and services that evoke emotion”. But why should my brand have a story? All well and good. But the typical pragmatic CEO is likely to want more concrete evidence of commercial benefit before buying into all this. 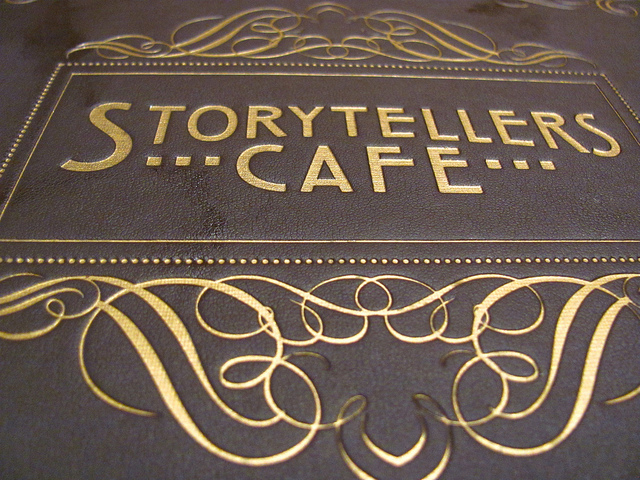 Many global players, and market leaders and challengers across the world, drive their brands with stories. But unless a business’s direct competitors are using story-telling, it will often not see the advantage in it; preferring instead to stick to traditional approaches to messaging. Another problem with appreciating what a brand story can provide a business is separating its value from other factors. When looking at successful story-telling brands in different categories or industries, there is always the question of how much of their success to attribute to their stories compared to things like market coverage, heritage, existing brand equity and customer loyalty, product range and quality, media spend, etc. It is these problems that make the results of the Significant Objects Project particularly relevant. Across late 2009 to early 2010, New York Times columnist Rob Walker and author Josh Glenn ran a quasi-anthropological experiment to see if a story could transform “the insignificant into the significant”. Or, in other words, whether it was possible to take an object worth very little and make it worth more by endowing it with meaning. The experiment consisted of three sets of auctions via eBay. For each auction, 100 knickknack type objects were bought for no more than a few dollars each from garage sales and thrift shops. In fact, in most cases, these objects were $1 and $2 pieces of ‘junk’. Each object was then allocated to a volunteer writer who created a fictional back story for it, in any style or voice they saw fit. When placed for sale on eBay, rather than having factual descriptions the objects were then listed with their stories. Each story also appeared with the respective author’s byline and with care to avoid the impression that the story was true rather than being a work of fiction. Winning bidders were mailed the object along with a print-out of its story. The 100 objects for the first auction cost a total of US$128.74 to buy. When paired with their stories they sold on eBay for a collective $3,612.51! A 2,706% increase in value. The second and third auctions did even better, with a combined jump in value of 2,860%. (Full details of this experiment are captured in the book Significant Objects. Many of the items and their stories can be found at significantobjects.com). Essentially the stories boosted the value of each object to their eventual buyers beyond the ‘market value’ place on them by their original owners. 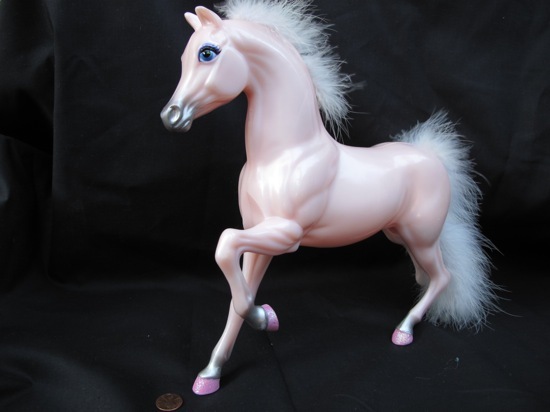 In some cases way beyond, such as this toy horse bought for $1 that sold for $104.50. As there were many different type of stories, exactly what appealed to people also varied. Some invoked curiosity, nostalgia or a sense of mystery. Others reflected an ideology or emotion. Despite knowing the stories were entirely fictional, people were still willing to let them imbue considerable additional value upon the objects they were written for. A straight line can’t be drawn between the results of the Significant Objects exercise and the value stories can bring to brands. But they do strongly support the case that stories can strongly influence the appeal of products and people’s willingness to pay for them. It used to be seen that only brands with sizeable advertising budgets could successfully tell stories. But digital and social media have made this possible for every business and every brand. There is also the opportunity to tell brand stories through the innovative use of traditional touchpoints. For instance, retailers who have reinvented their in-store experience and FMCG brands who have made their packaging a critical asset. A business may not see a 2000% plus ROI from a brand story. But a 10% to 20% improvement in marketing effectiveness over the medium-term would be a conservatively realistic guesstimate of the benefit a well developed and well told story can provide. Now that’s a story every CEO and CFO would like to hear. Bravo(a)! Your author needs more individual name recognition on this page. This as mentioned is not a new concept, it is just nice to see scientific study stats behind it. Antiques are a perfect old school example of added story value creation or collectables from celebrities (how much more valuable is a dirtied paper napkin used by the Pope from eating his Pizza or a cheap scarf from Elvis?). Very interesting – especially in the wine market where every producer is trying to be heard to bring emotive marketing ( ie passion ) to your wine’s USP will get you some head space and potential customer attention.. I think wine producers out of necessity (i.e. the vast majority can’t afford ATL communications) have come to value the power of a good back story on their labels. A lot of brand marketers could learn from this. « Should brands always confess their imperfections?